When Sportsnet bought the rights to Hockey Night in Canada four years ago, the future of the iconic television program appeared uncertain. While the show would continue to be aired on CBC, that was only guaranteed until 2019. After that, Rogers could move the property away from its home since 1952. But on Tuesday, Rogers Media and CBC announced that Hockey Night is staying put. The two media organizations have signed a new seven-year sub-licensing agreement for HNIC, which will keep CBC and Sportsnet aligned for the remainder of the 12-year deal. Sportsnet will continue to produce Saturday night games on CBC, Sportsnet, and City TV. They’ll also retain editorial control and manage the advertising, with games being produced from a studio at the CBC building in Toronto. Some aspects of the show have changed since Rogers assumed control. Numerous Sportsnet analysts (Nick Kypreos, Chris Johnston, David Amber, etc.) were added. Some of the additions have been positive, but others fell flat. To Sportsnet’s credit, they realized the error of their ways last year. 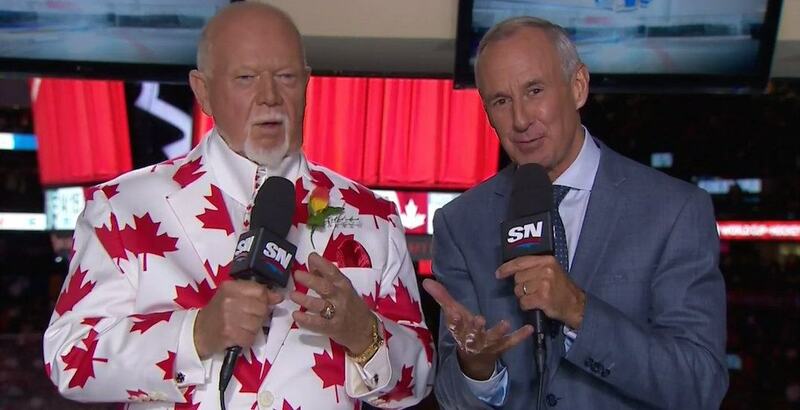 After initially bringing in George Stroumboulopoulos to host, Sportsnet execs reverted back to Ron MacLean in 2016. They also brought back After Hours, the popular post-game segment hosted by Scott Oake after the conclusion of the second half of the double header. Since Rogers acquired the broadcast rights, Hockey Night in Canada reaches 7.5 million viewers each week. “Our priority in coming to this new agreement was to ensure Canadians continue to have access to Saturday night hockey on CBC and an overwhelming majority of our audience told us they want it to be on CBC,” said Greg Stremlaw, executive-director of CBC Sports. Paying $5.2 billion for 12 years of NHL hockey, Sportsnet’s rights deal remains the largest media deal in league history.